Keep followers happy with a steady stream of FOMO-filled, envy-inducing images from around the Golden State. Here are some noteworthy, have-to-hashtag locations and attractions to seek out when you Visit California. Shasta Cascade — Cascade is the operative word in California’s wild and rugged far north. There are a number of spectacular waterfalls to check out, including Hedge Creek Falls (which has a small cave behind it), the rel=”noopener noreferrer” trio of waterworks at McCloud Falls, and lovely McArthur-Burney Falls. The region is also home to majestic, snow-capped Mount Shasta and a couple of man-made marvels: Shasta Dam and the Sundial Bridge in Redding, designed by architect Santiago Calatrava. Bay Area — The San Francisco waterfront features classic spots like Fisherman’s Wharf, Pier 39, Ghirardelli Square, Madame Tussauds, Musée Mecanique’s vintage arcade games, and the Ferry Building Marketplace — plus great views of such icons as the Golden Gate Bridge, Alcatraz and the city’s cable cars. Other top sites include Chinatown and Alamo Square (recognizable from TV’s Full House). But don’t overlook other Bay Area locales like Sausalito and Cavallo Point Lodge; Benicia’s Waterfront Promenade; Berkeley’s Cal University campus and Indian Rock Park; and Oakland’s Lake Merritt, Mountain View Cemetery and Jack London Square, home to historic Heinold’s First and Last Chance Saloon. North Coast — Pose with some of the tallest trees on Earth at Redwoods National and State Parks, and stop by classic roadside attractions like the Chandelier Drive-Thru Tree. Some of the country’s most amazing Victorian architecture is found in Eureka and Ferndale, and there’s more time-tripping aboard the vintage locomotives of the Skunk Train and at Point Arena Lighthouse, built in 1908. The Solar Living Center in Hopland features a lavender labyrinth and a grove of old cars turned into flower and tree planters, while animal lovers can view the African wildlife at B. Bryan Preserve. High Sierra — Click into full Ansel Adams mode at Yosemite National Park and hit prime photo spots like Tunnel View and Glacier Point. On the eastern side of the Sierra are the unforgettable tufa towers at Mono Lake Tufa State Natural Reserve and beautiful fall colors of June Lake Loop as well as the incredible ghost town of Bodie; while scenic Highway 395 takes you north to alpine Lake Tahoe. Highlights there include Monkey Rock, the Squaw Valley Aerial Tram, and the seasonal Lupine Fields. Wine Country — Foodie followers will be wowed by shots from temples of gastronomy like the Culinary Institute of America at Greystone, The French Laundry, and Chris Cosentino’s Acacia House restaurant at La Alcobas Napa Valley resort. Add to the list wineries such as Francis Coppola’s Inglenook, The Hess Collection, Sterling Vineyards, Notre Vue Estate Winery & Vineyards, and Emeritus Vineyards. Beyond the wineries, there are the garden installations at Cornerstone Sonoma, the eye-popping art at di Rosa Center for Contemporary Art, the Charles M. Schulz Museum, and Armstrong Redwoods State Natural Reserve. Gold Country — Sacramento’s grand State Capitol building is mighty impressive, as are the giant sequoias at Calaveras Big Trees State Park. Get into the Gold Rush at Old Sacramento State Historic Park, Columbia State Historic Park, and charming mining towns like Angels Camp, Murphys and Nevada City. Otherworldly formations in caves like Black Chasm Cavern and Mercer Cavern make awesome photo subjects, too. Central Valley — Downtown Fresno gets its art on in the Mural District, featuring a range of colorful, creative large-scale artworks. Mother Nature is responsible for the array of colors along the Fresno County Blossom Trail, while the Shinzen Friendship Garden is a meditative traditional Japanese garden. Head into the Sequoia and Kings Canyon National Parks for something on a grander scale: the world’s biggest tree, the General Sherman. 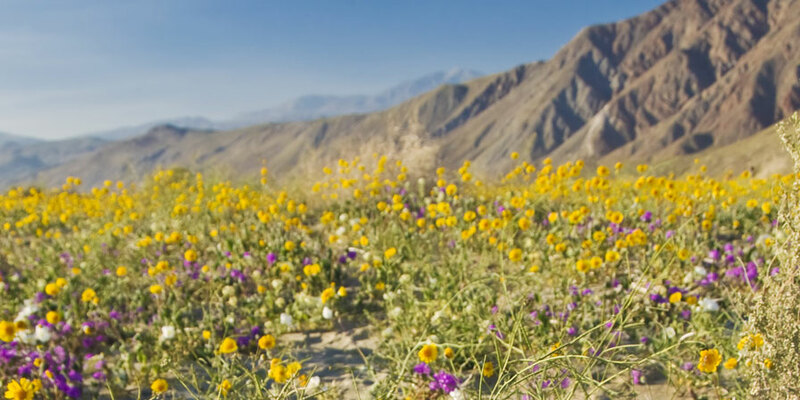 Deserts — Catch a seasonal riot of color when desert wildflowers bloom in the Anza-Borrego Desert (usually late February through March). Snap some of the continent’s tallest sand dunes at Mojave’s Kelso Dunes or get a selfie with Historic Route 66. With its Mid-Century Modern architecture, the Old Tramway Gas Station is a must-shoot destination in Palm Springs. 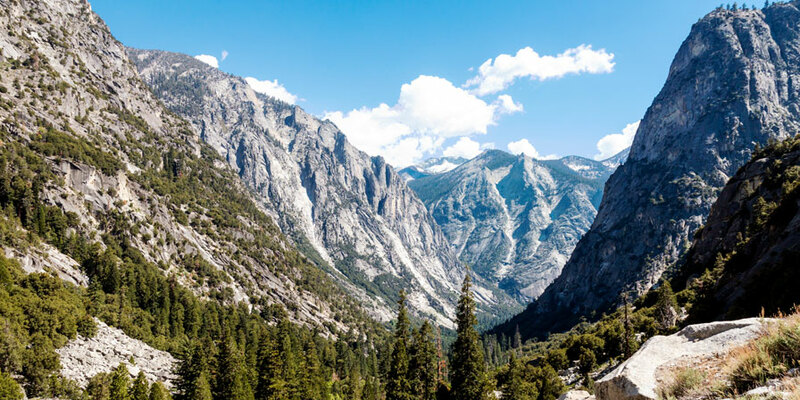 It’s also the gateway to the gasp-inducing aerial tram, which climbs more than 2 miles up from the desert floor to the forest of Mount San Jacinto. Get some retro-cool pix at The Saguaro Palm Springs hotel and Ace Hotel & Swim Club, or get natural at Indian Canyons nature preserve and Moorten Botanical Garden. For those craving the open road, a trip to Salvation Mountain near the Salton Sea will leave you awestruck and photo-happy. Los Angeles — The Santa Monica Pier is the area’s most popular Instagram location, but feel free to skate, bike or blade over to the nonstop action at the Venice Beach Boardwalk, too. You’ll also want some iconic shots like the Hollywood sign, Hollywood Boulevard’s Walk of Fame and Griffith Observatory (don’t forget the James Dean bust here!). Or perhaps sight some celebrities at Alfred in the Alley coffeehouse or SkyBar at Mondrian. Two recent additions to the L.A. scene are the OUE Skyspace, an open-air observation deck (with a glass slide!) and The Broad contemporary art museum. Put the Urban Light installation at Los Angeles County Museum of Art (LACMA) on the list, as well. Then get away from it all on Catalina Island and the quaint town of Avalon, 25 miles offshore, or in the expansive flower fields of the Antelope Valley California Poppy Reserve (usually blooming late February through May). Inland Empire — You’ll find Southern California’s wine country when you visit Temecula Valley, complete with hot air balloons soaring over expansive vineyards. 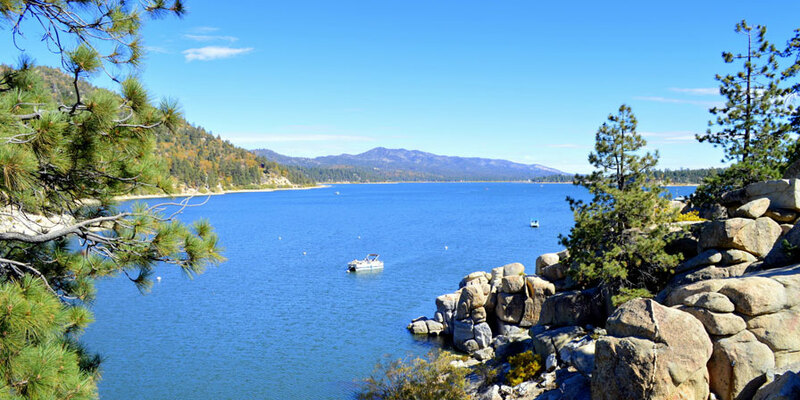 For the best sunsets, get on the road and head to Big Bear Lake or Lake Arrowhead; everyone knows that the mountain lakes make for some of the most amazing reflections. Orange County — The no. 1 most popular Instagram location on the planet in 2017 was Disneyland Park, and sister park Disney California Adventure is a top 10 companion. You’ll want to hit up the O.C.’s coastal side, too, like the Huntington City Beach and Pier, the International Surfing Museum (where you’ll find the Guinness World Records’ largest surfboard), and Laguna Beach’s Main Beach lifeguard tower and Victoria Beach Pirate Tower. Costa Mesa’s LAB Anti-Mall provides some cool, Instagram-ready surroundings for shopping and dining. San Diego — For San Diego’s best views, head up to Cabrillo National Monument. 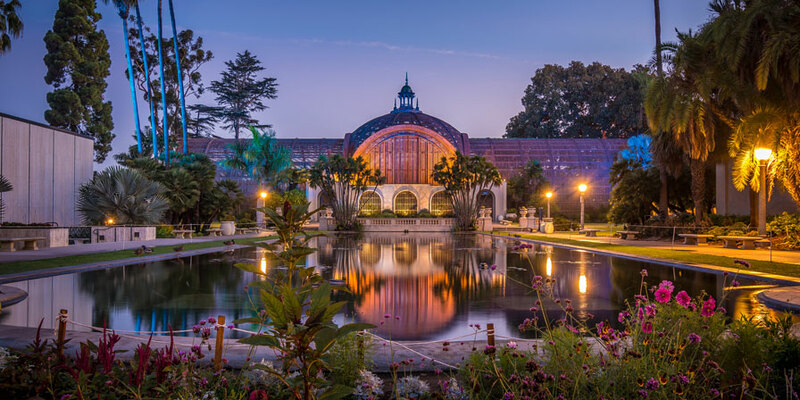 Then hit Balboa Park, with its lush gardens and ornate architecture, plus a whole world of photo ops at the San Diego Zoo. Vibrant artworks are on display at Chicano Park, the largest collection of outdoor murals in the country, and Queen Califia’s Magical Circle, which features the fantastical works of Niki de Saint Phalle. Some of the region’s most treasured spots include Torrey Pines State Reserve and La Jolla Cove, while the Flower Fields at Carlsbad Ranch offer a seasonal rainbow of blooms (March through early May).